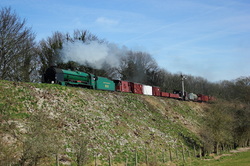 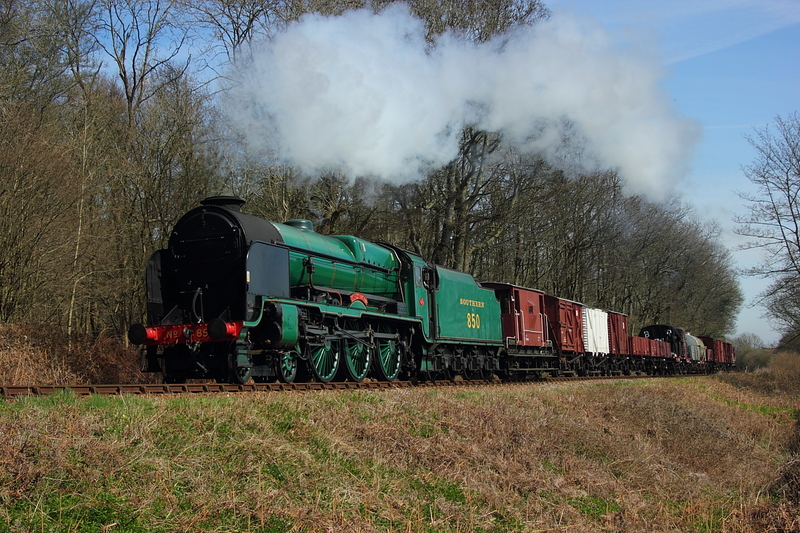 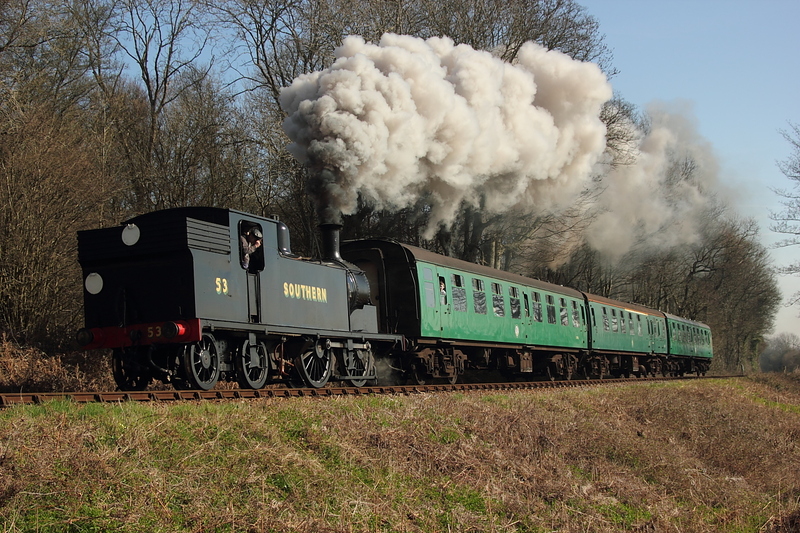 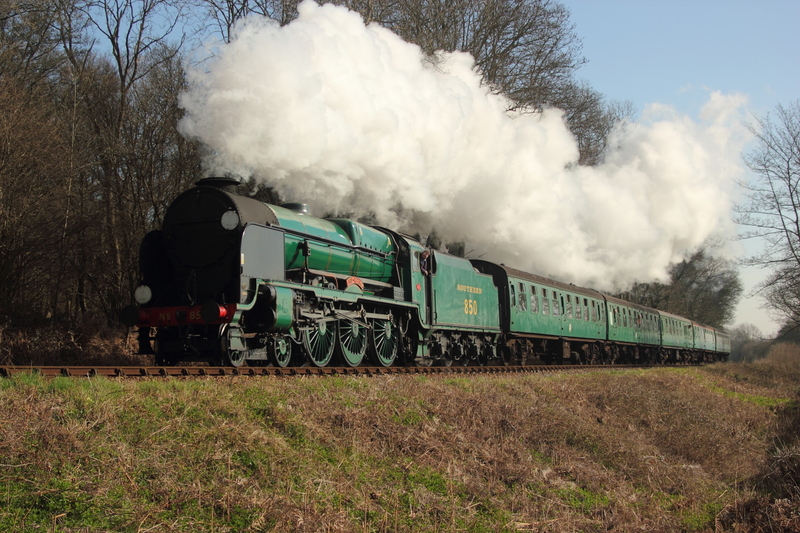 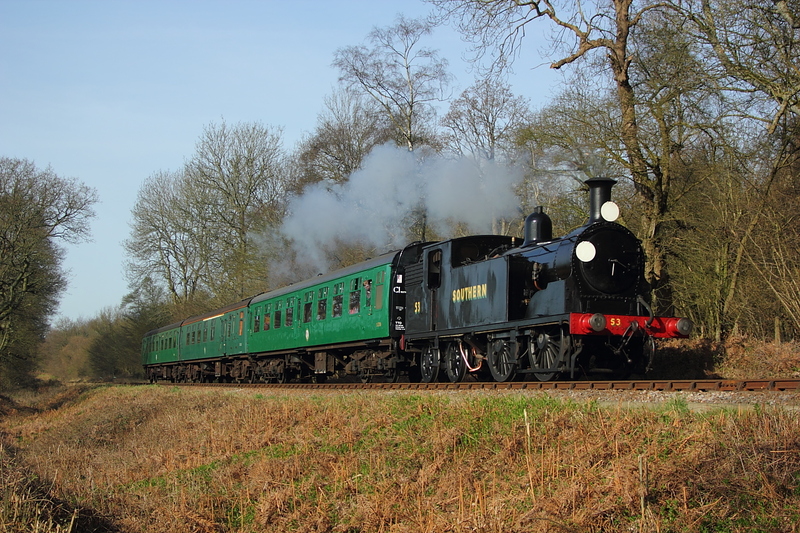 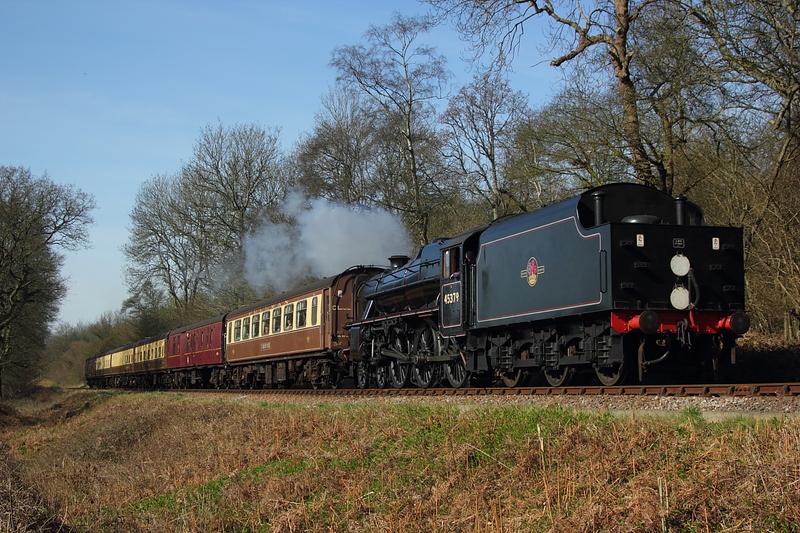 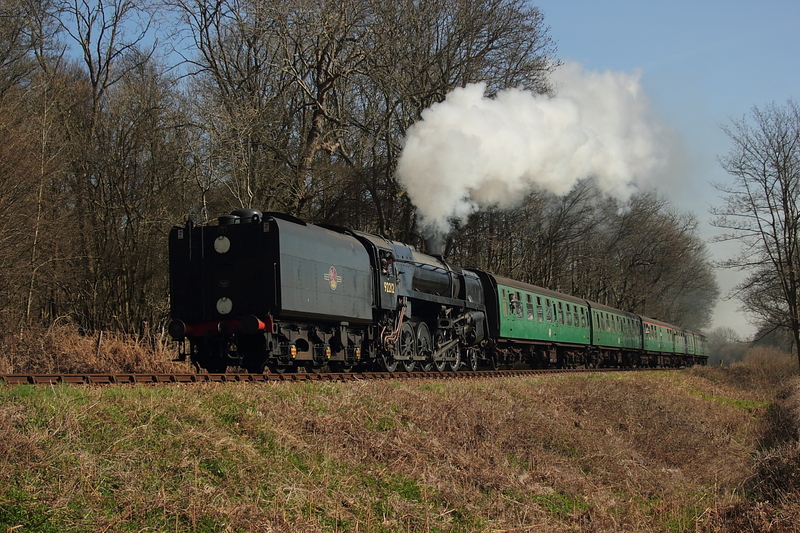 A morning visit to the Mid-Hants Railway's Spring Steam Gala,featuring their own locomotives plus a visiting M7 ,all shots taken in the Chawton Park Woods area,plus a grab shot approaching Alresford. 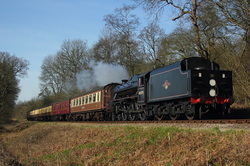 Luckily visiting M7 30053 was London facing,being the first Eastbound working leaving Ropley at 09.17 bound for Alton. 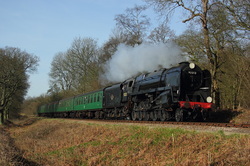 9F 92212 heads the second sercice of the day from Alresford,leaving at 09.30 for Alton. 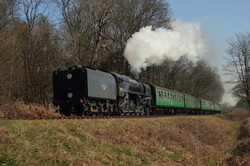 M7 30053 on the 10.20 Alton to Alresford service. Black 5,45379 ,tender first on the 10.05 Alresford to Alton service. 9F 92212 replaces the timetabled "Wadebridge" on the 10.55 Alton to Alresford service,tender first. 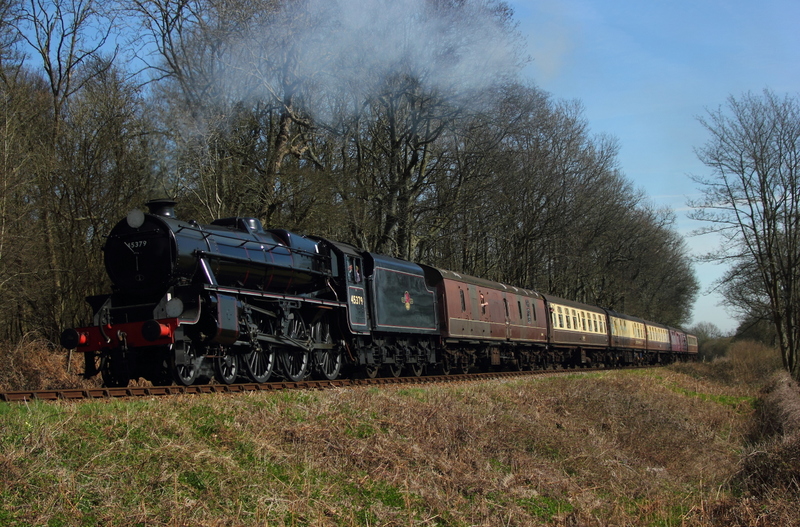 No wonder "Wadebridge" never appeared on the previous service from Alton...IT WAS'NT EVEN THERE,but finds itself in the consist of the 10.40 Alresford to Alton demostration freight,headed by the booked u class,31806,very nice too. 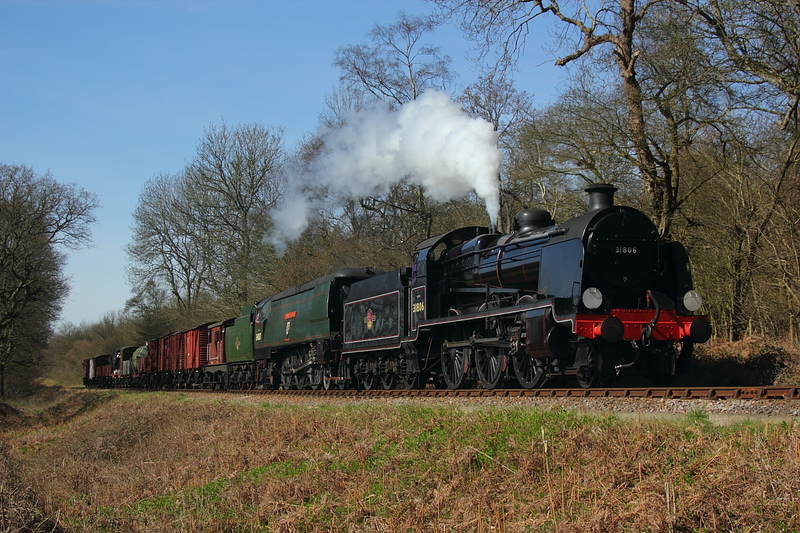 And the other leading towards the country end being 850 "Lord Nelson",working the return 12.05 Alton to Alresford demostration freight service. 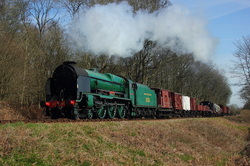 Having already seen 850"Lord Nelson" ,working the 12.05 Alton to Alresford freight service at Chawton Park Wood,and being a bit off a gap until something led the right way,and with the missus watching her clock at home,it was time to move,and get a second stab on the way home,but having already taken a shot of the same loco on freight at the normal location approaching Alresford,this had to do,but unfortunately i did'nt realise the track was somewhat lower than expected,loosing the wheels,but i did get home...BEFORE i said i would,and live to fight another day.